Believe it or not, not everyone can eat bread without experiencing some sort of side effects. While some might think it is a result of gluten intolerance, there is another cause that has gone unnoticed; FODMAPs. FODMAPs (Fermentable, Oligo-saccharides, Dissacharides, Mono-saccharides and Polyols) are a collection of sugars and short-chains of sugars found in foods. In certain people, these can be poorly absorbed in the body, resulting in digestive discomfort, gas and bloating. Unfortunately most breads are high in FODMAPs and therefore avoided or substituted for gluten free options. Bakers Delight had launched their very first certified FODMAP friendly loaf today at the Adelaide Central Market. It will be baked fresh daily and be available at all stores. Adelaide Food Central, along with other invited guests, had the opportunity to try and learn more about the new product. Together with Sprout Cooking School, we witnessed a live cooking demonstration where two easy-to-make dishes were made using the FODMAP friendly loaf. Drawing on 40 years of bread making experience, Bakers Delight‘s new Wholegrain Lo-Fo Loaf is made using a delicious mix of grains and seeds using oat bran, sesame seeds, poppy seeds, linseed and kibbled sorghum. 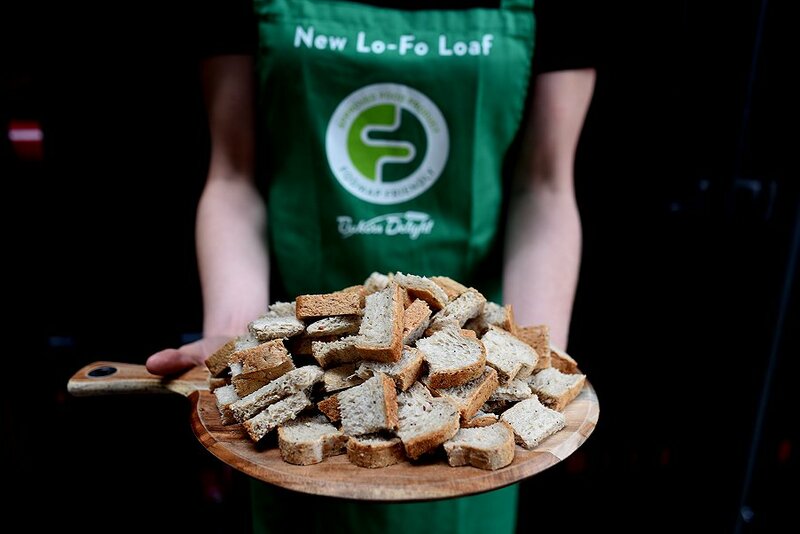 The new Lo-Fo loaf allows Australian’s who have issues with FODMAPs to enjoy fresh, delicious bread again (that actually tastes like bread). The high protein content of the Lo-Fo Loaf also helps support healthy bones, tissue repair and building muscle mass. Certified by FODMAP Friendly, the new Bakers Delight Lo-Fo Loaf has been rigorously tested for appropriate levels of FODMAPs. For those looking to follow a low FODMAP diet, increase their protein intake, or simply invest in a healthy bread, the Wholegrain Lo-Fo Loaf is the option that allows many to enjoy bread again.